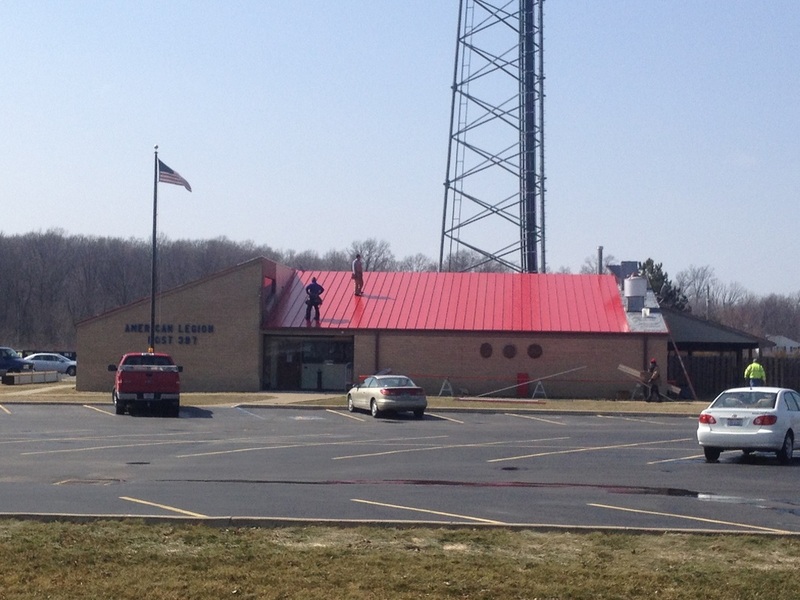 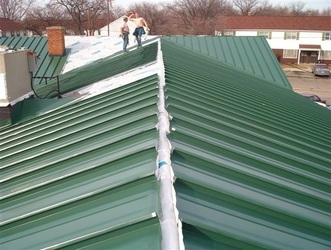 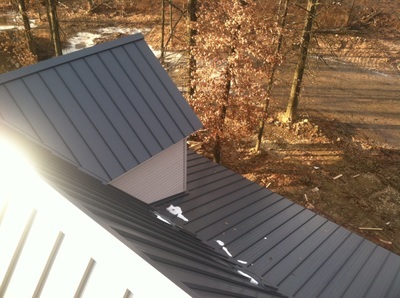 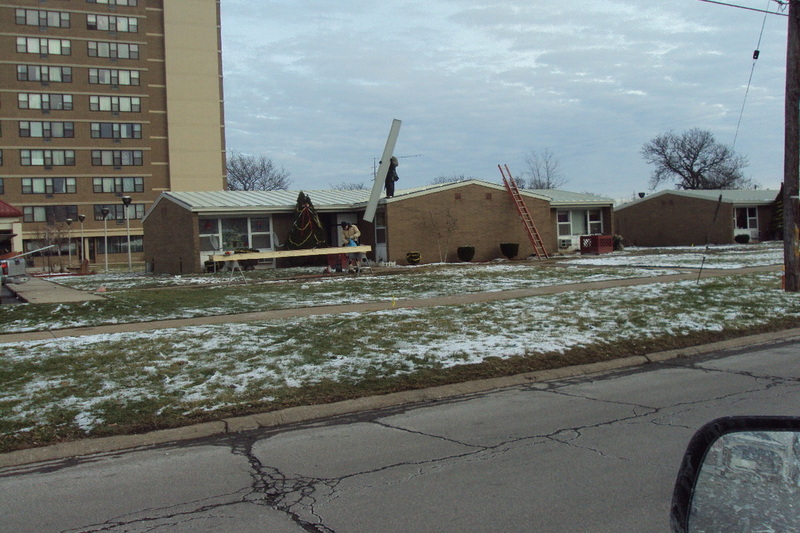 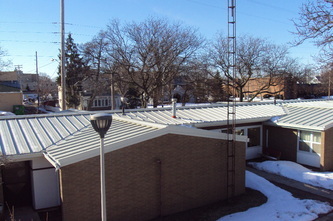 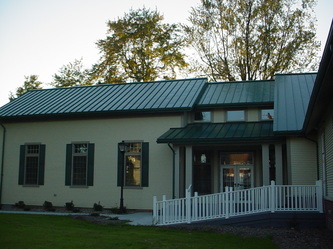 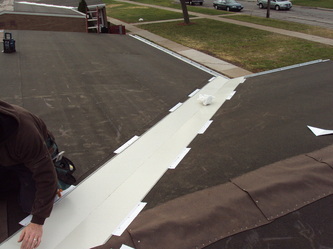 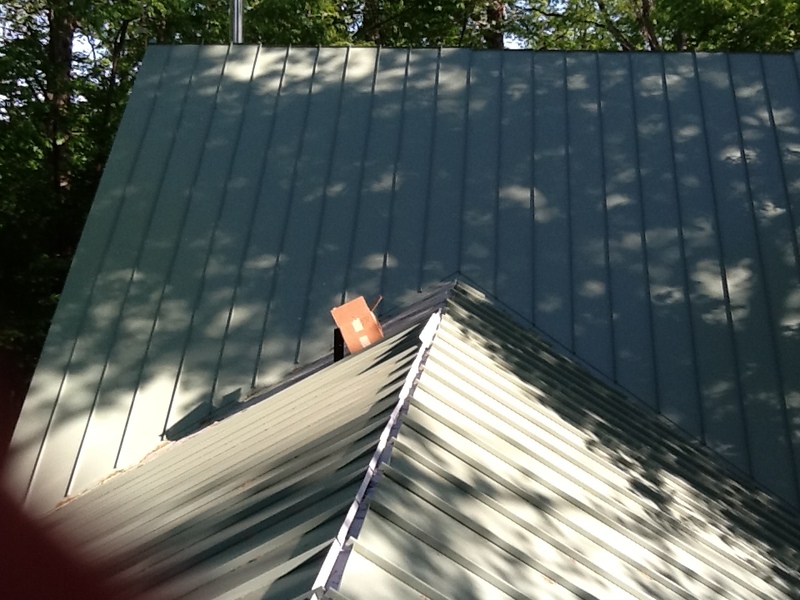 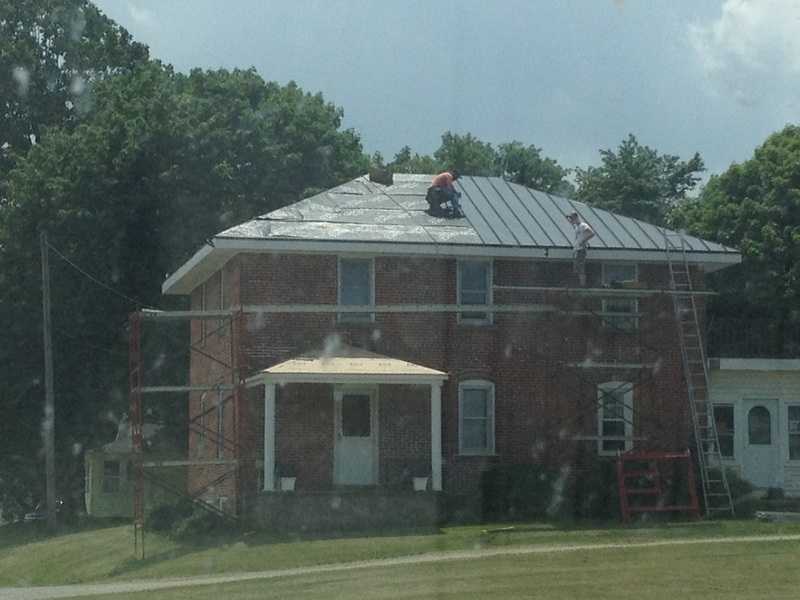 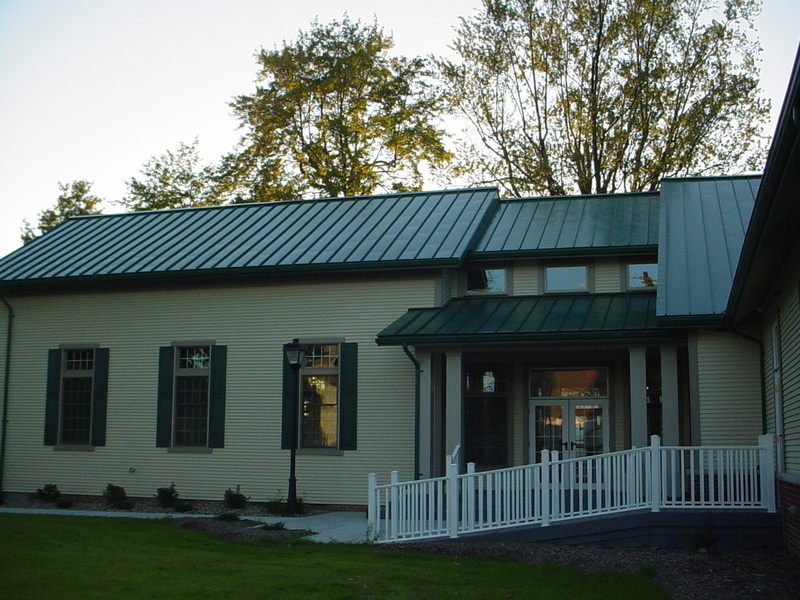 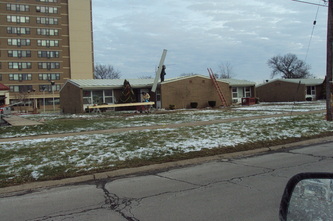 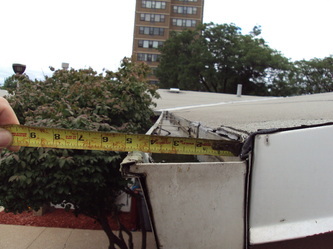 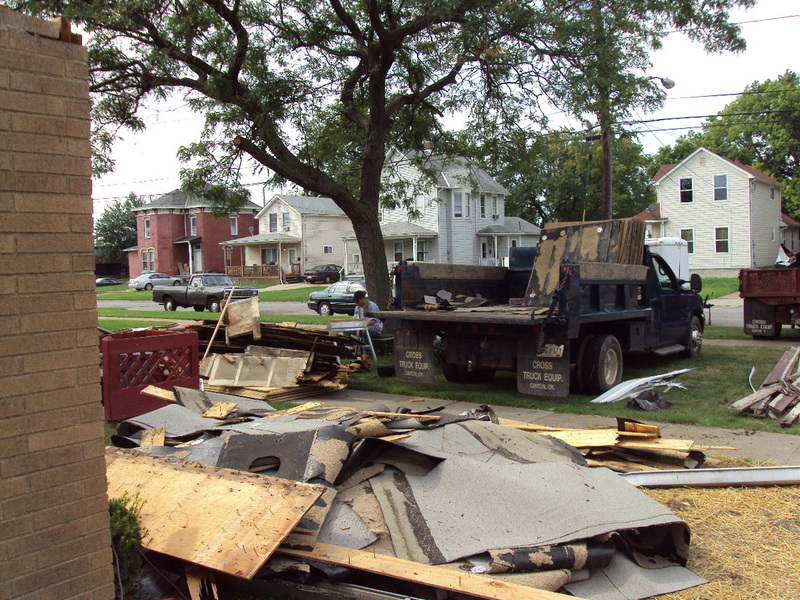 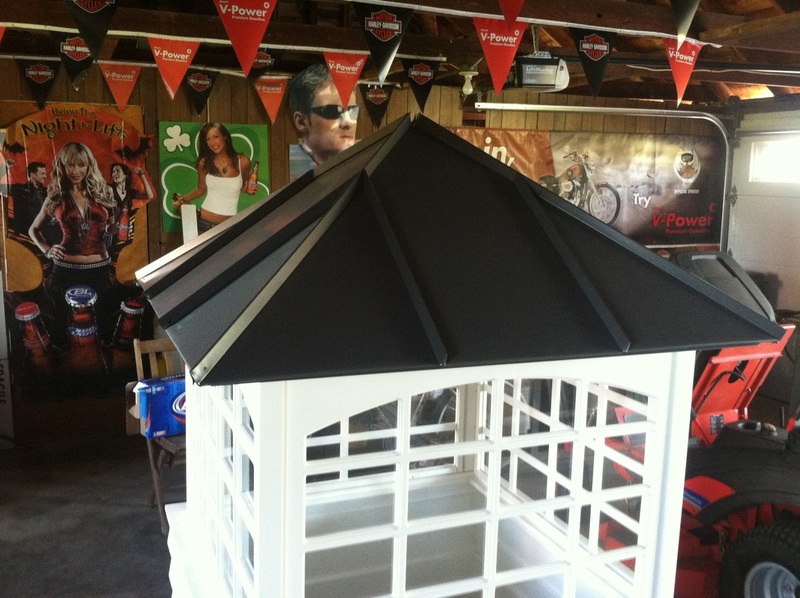 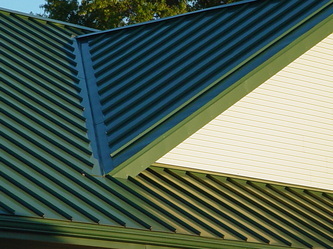 We also do roofing repairs, as seen in the picture below. Or odd jobs like the chicken coop roof to the right. 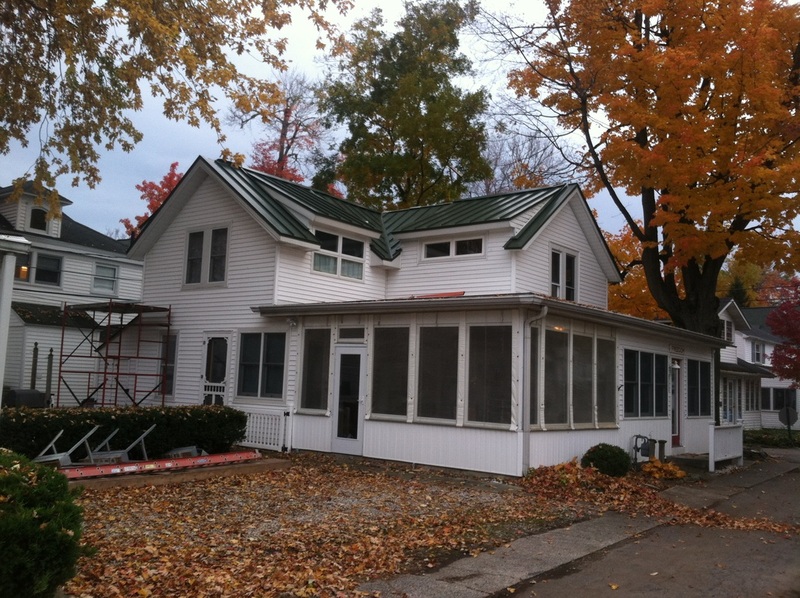 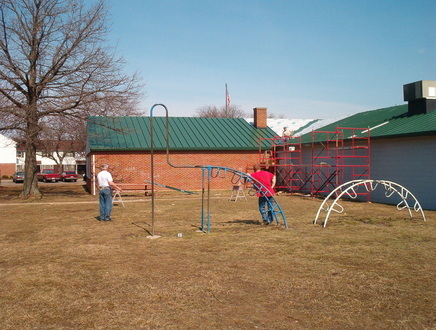 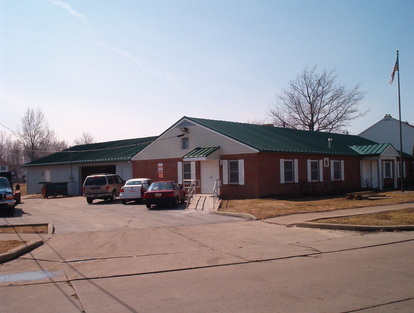 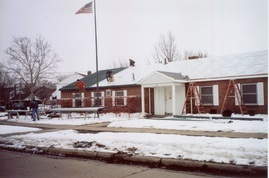 The roof is examined, measurements are taken for making custom gutters and panel lengths, the old roof is torn off, and repairs are made. 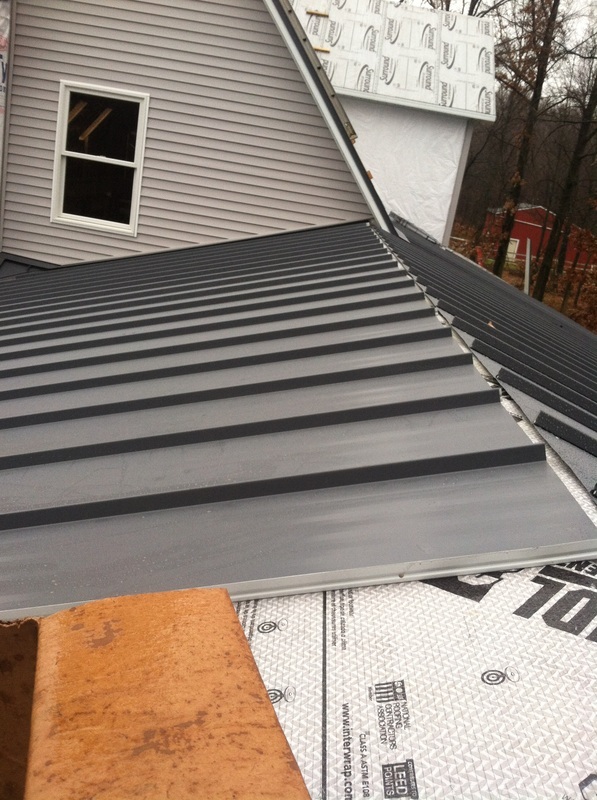 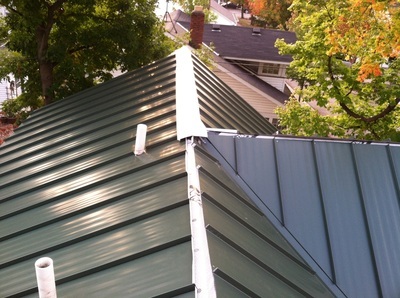 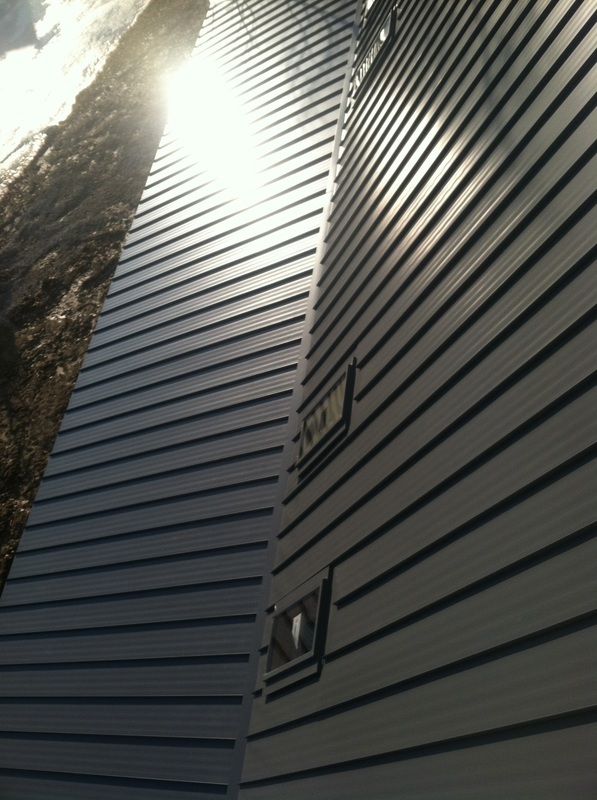 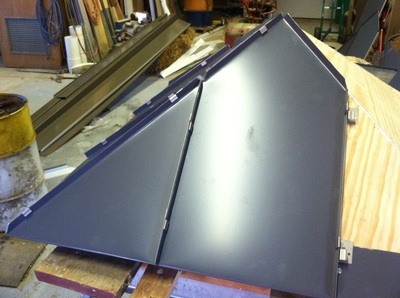 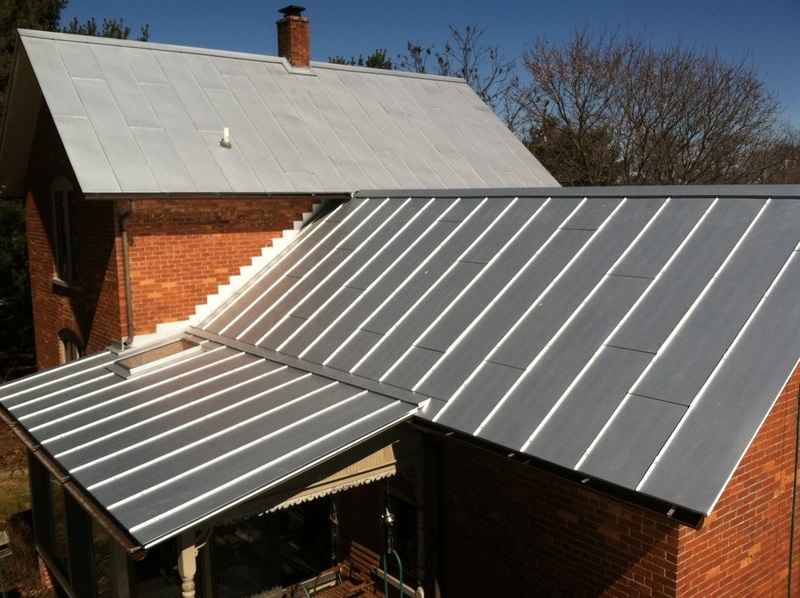 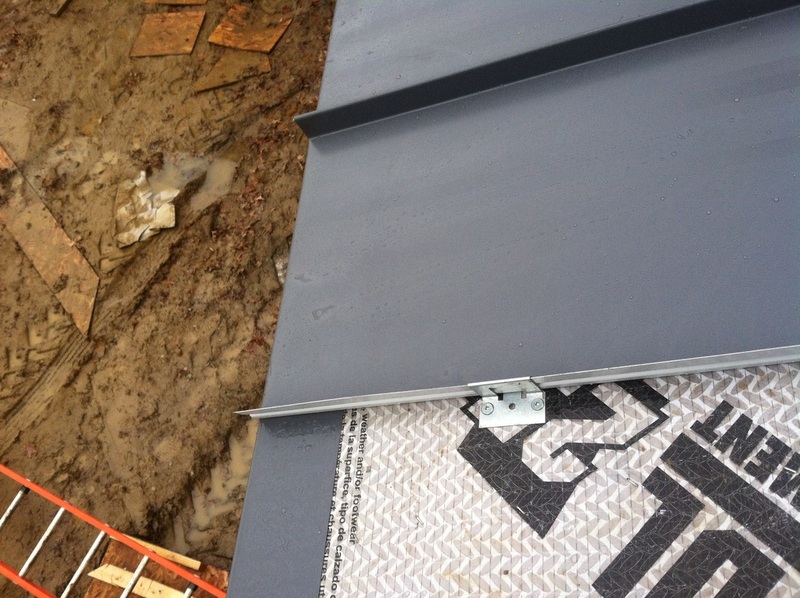 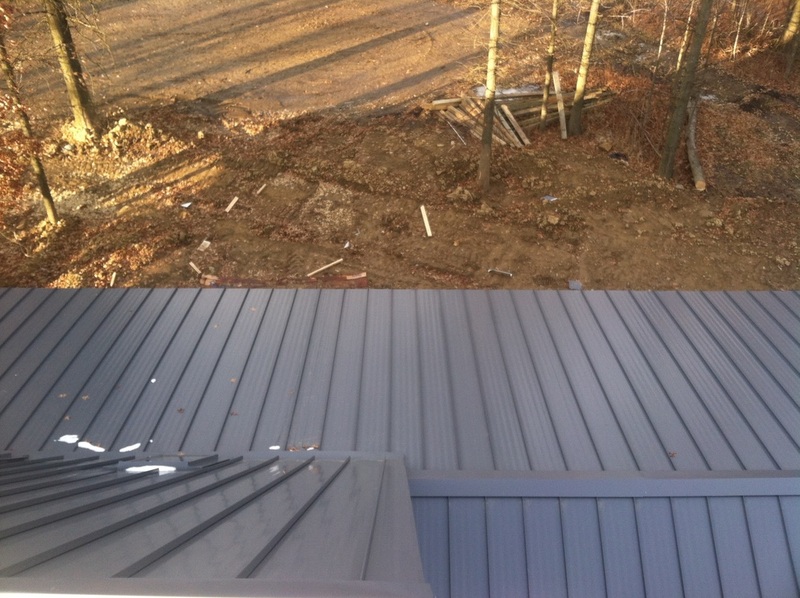 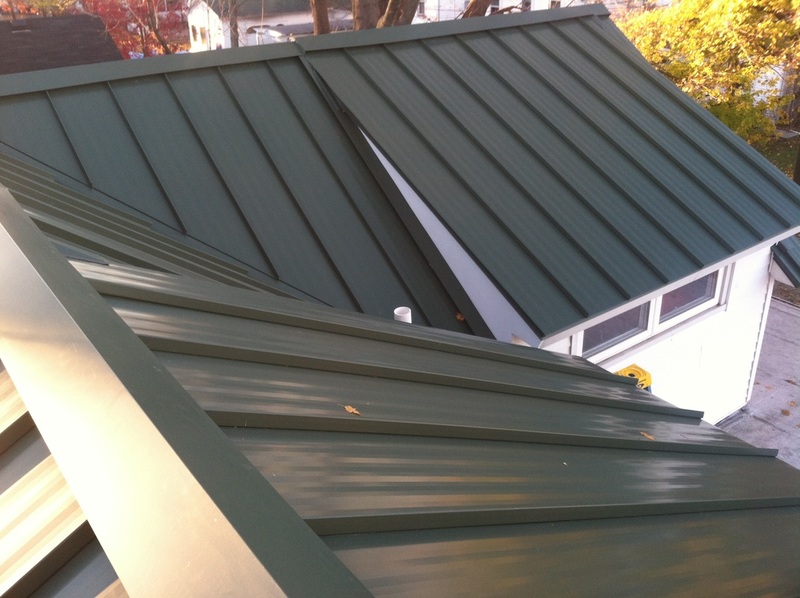 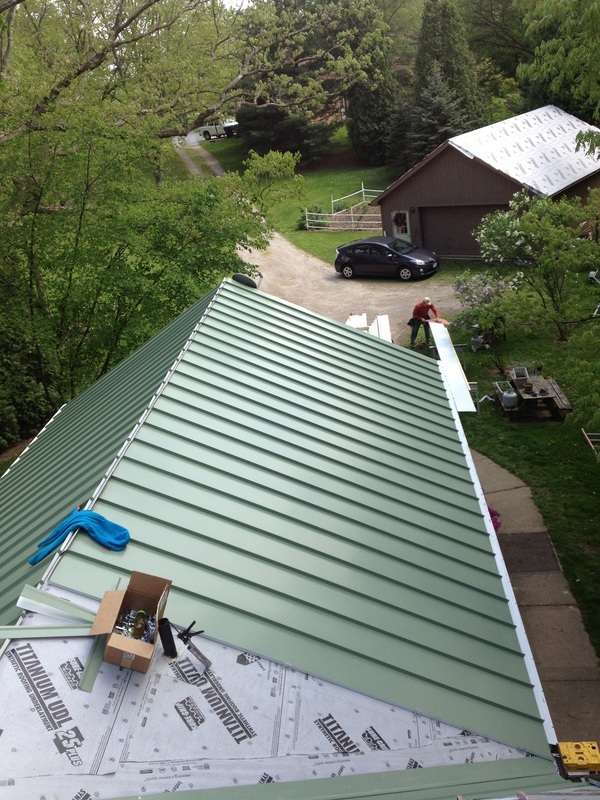 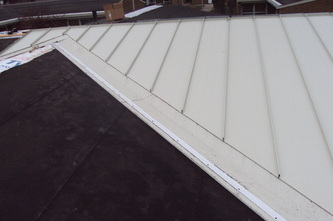 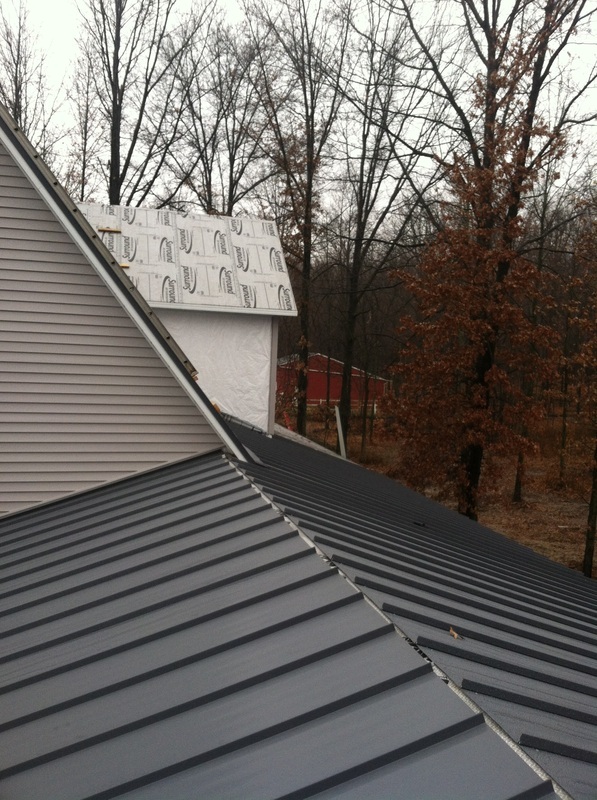 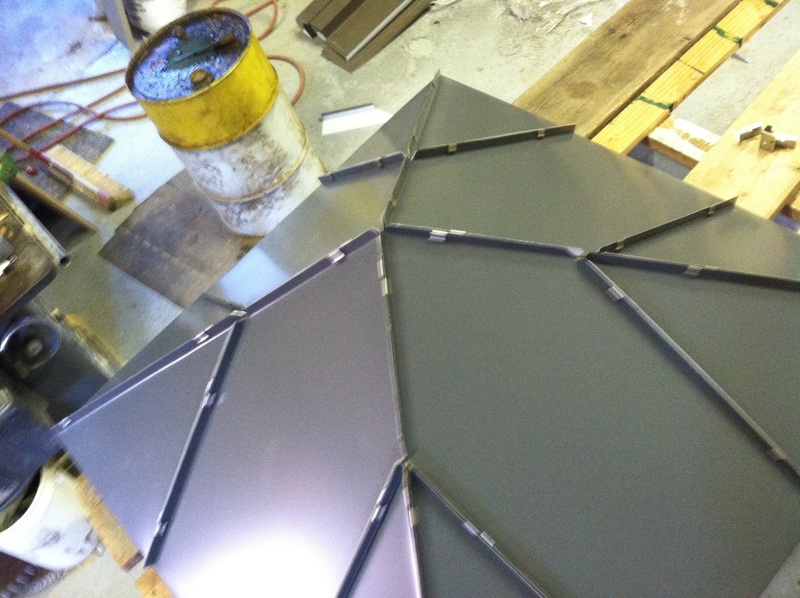 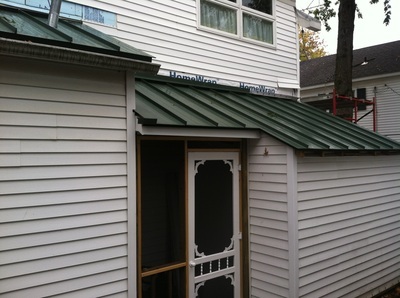 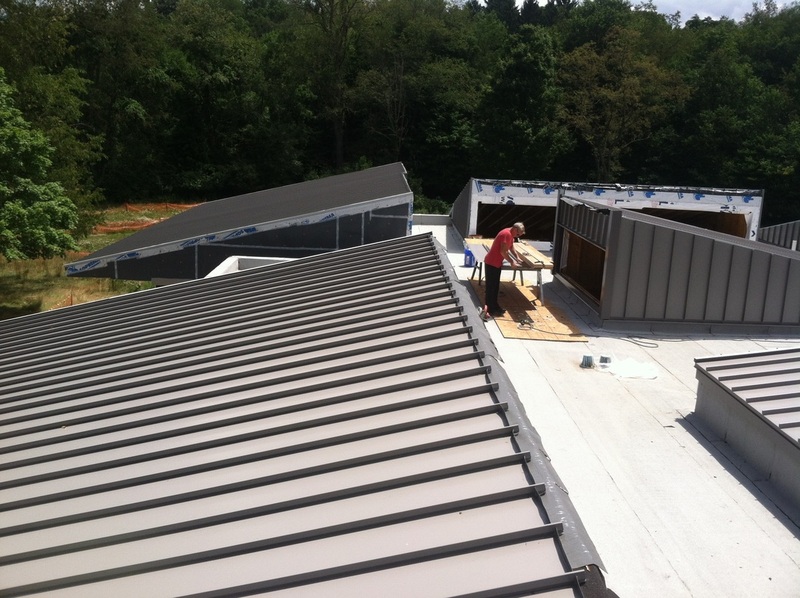 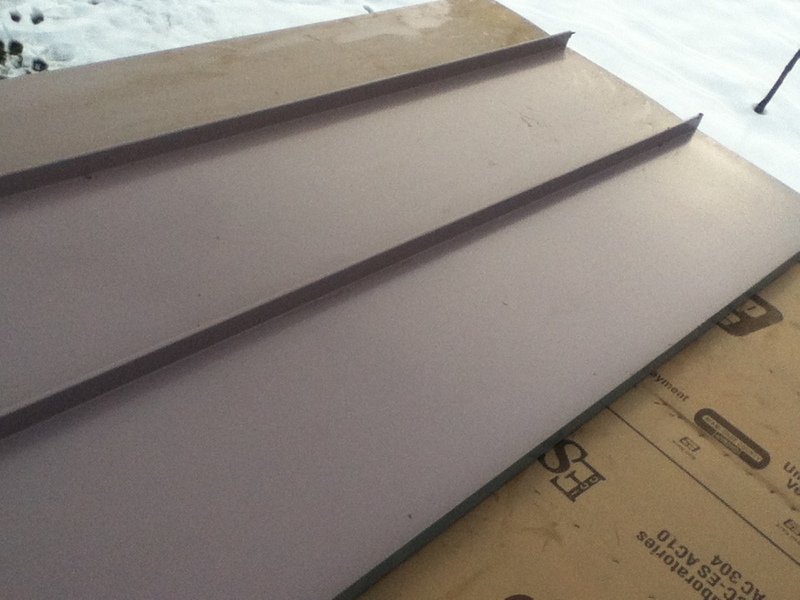 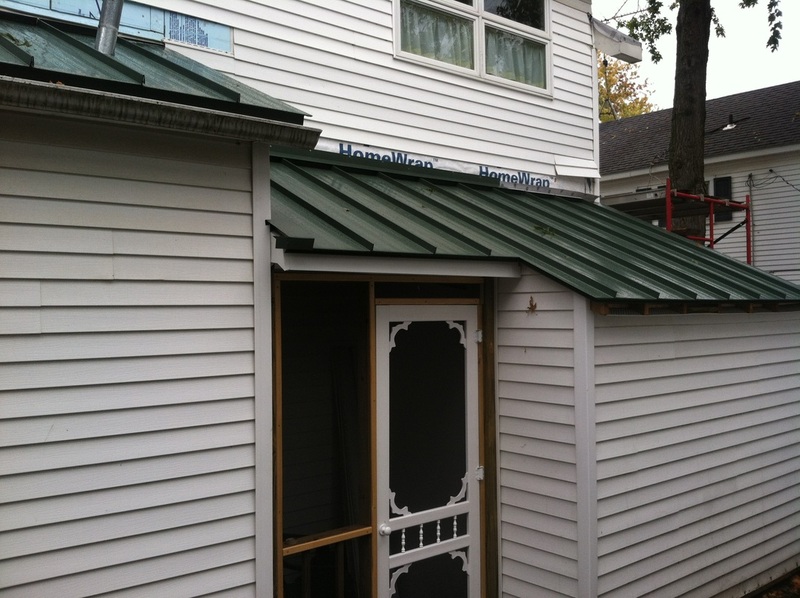 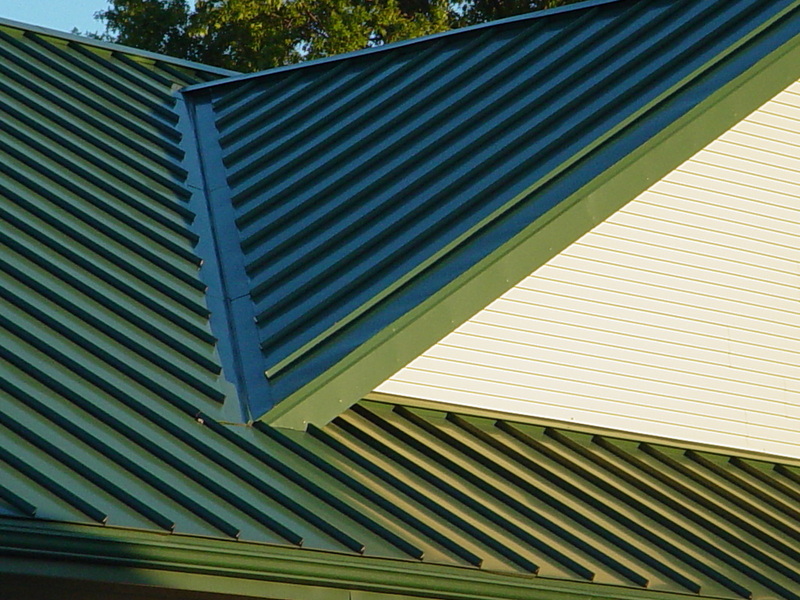 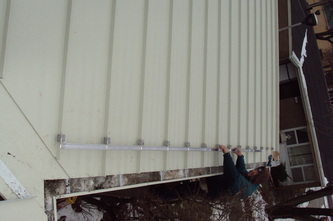 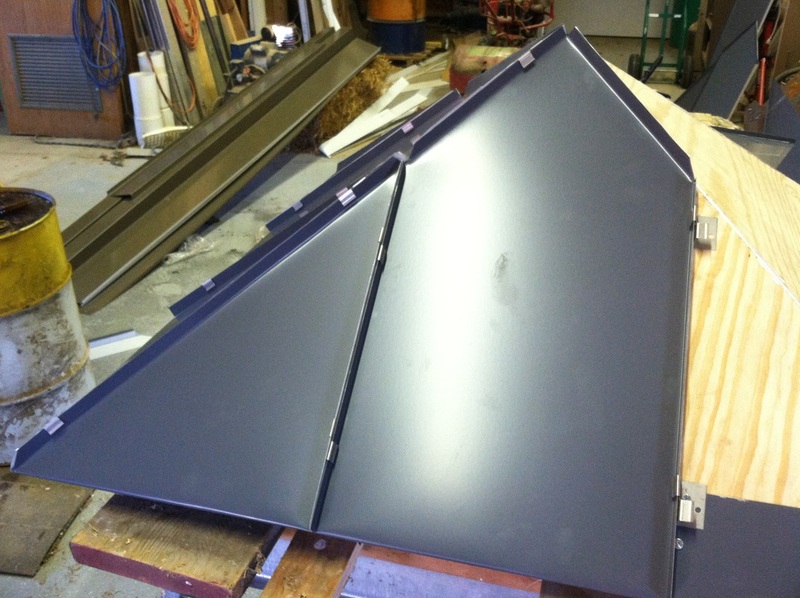 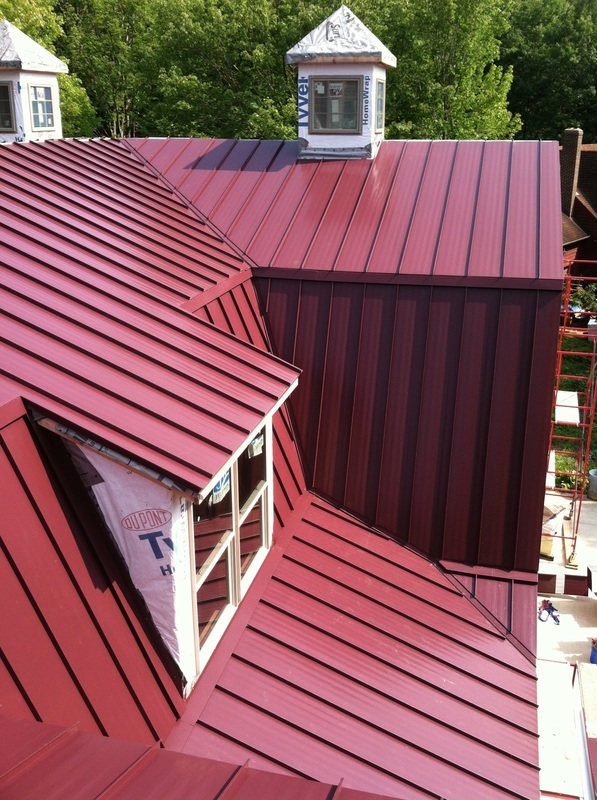 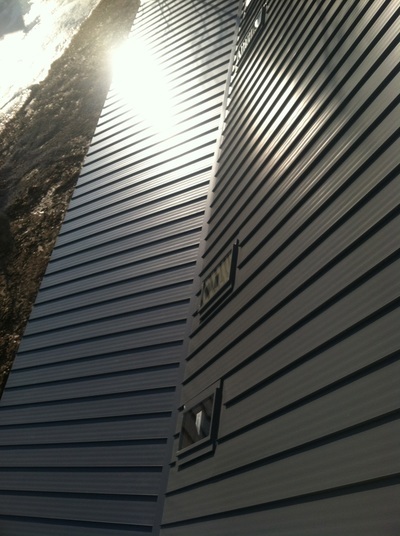 The custom gutters and roof valleys are installed first, then the panel rows are hand cut to length and put on one by one. 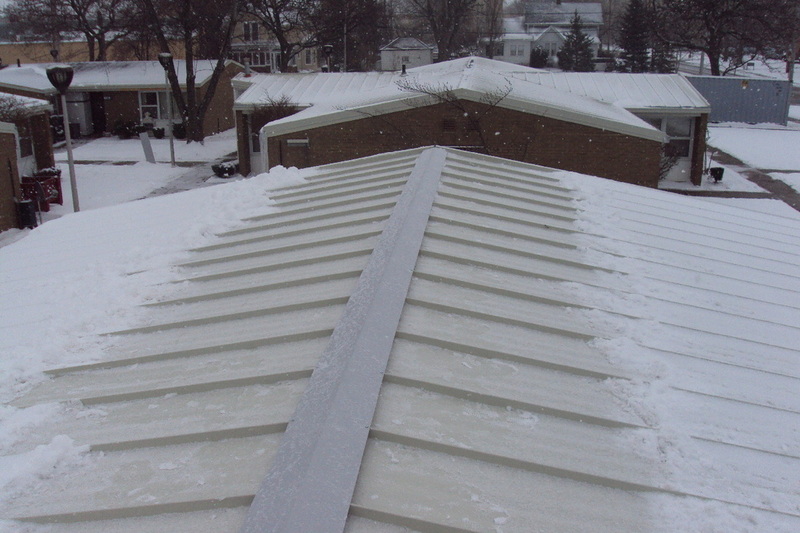 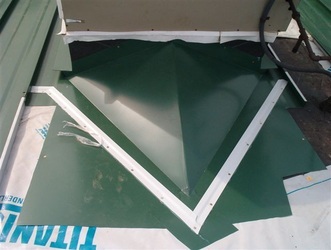 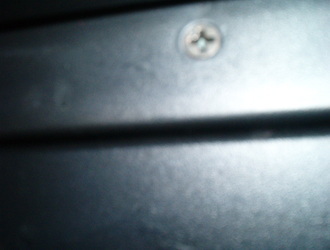 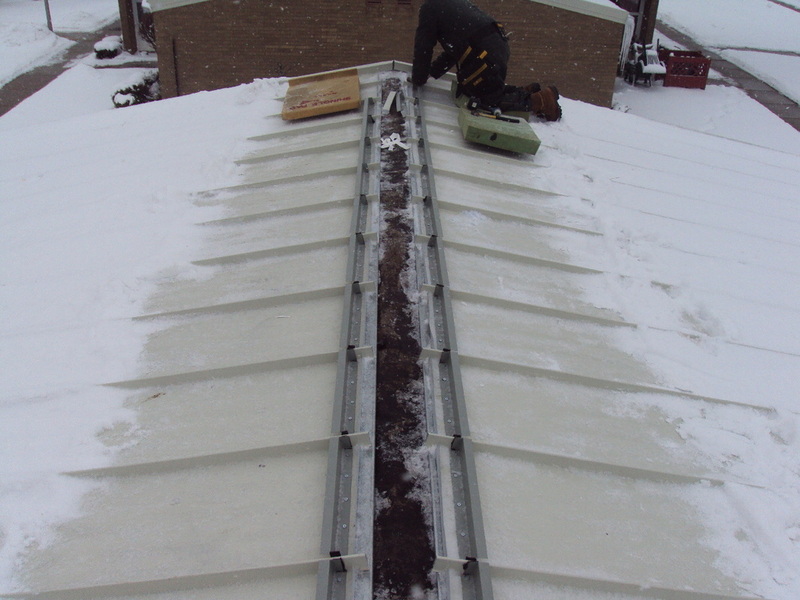 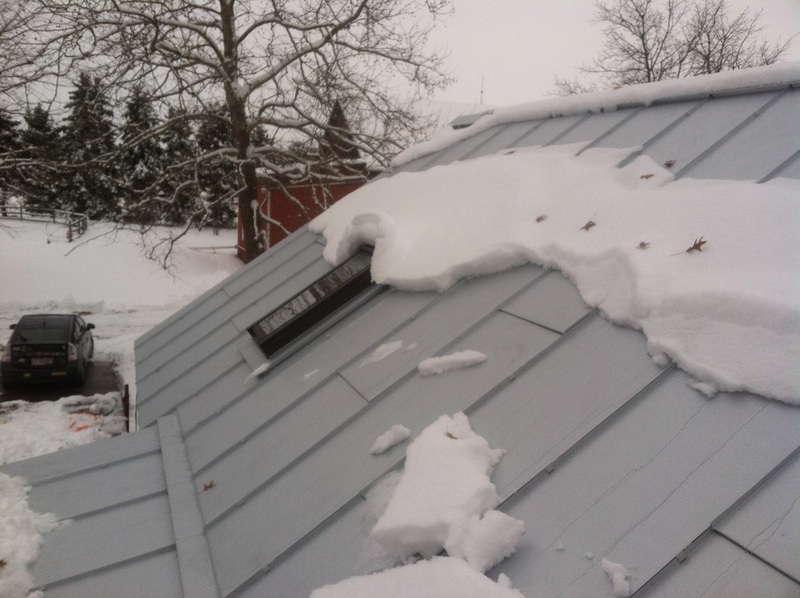 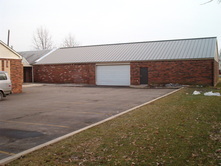 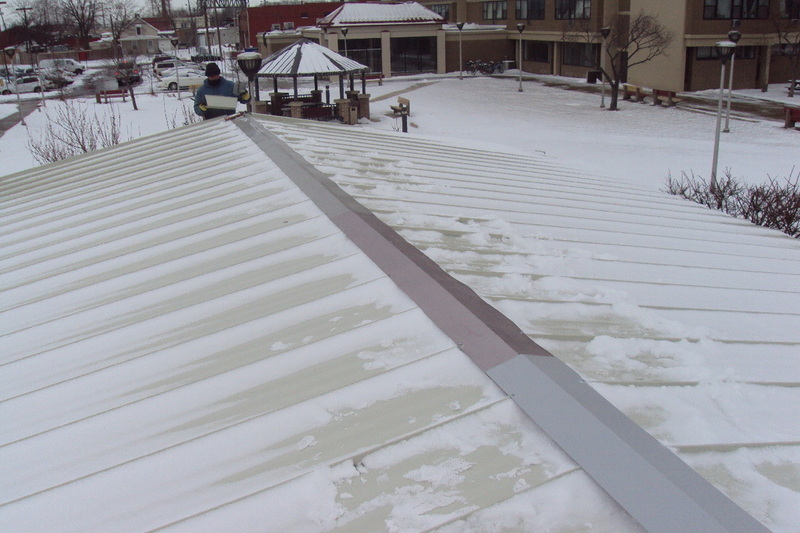 There are also various types of optional snow guards that can be added upon request. 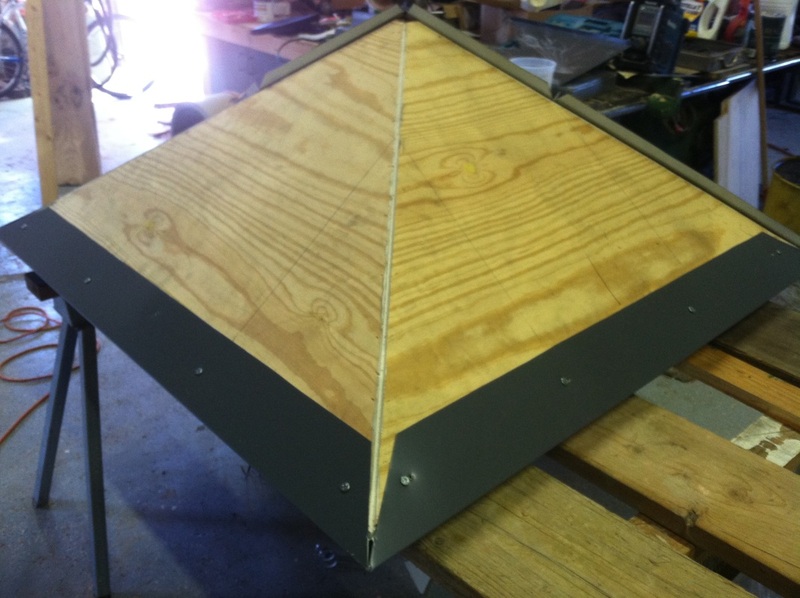 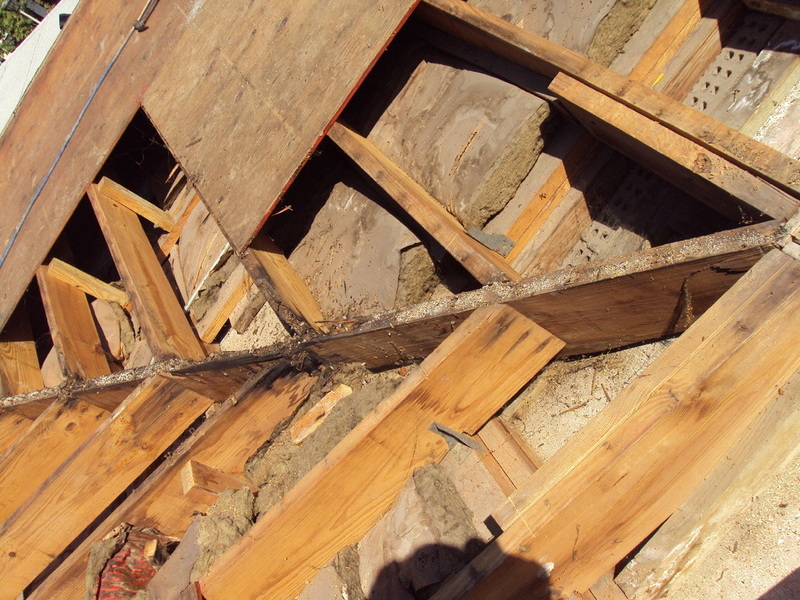 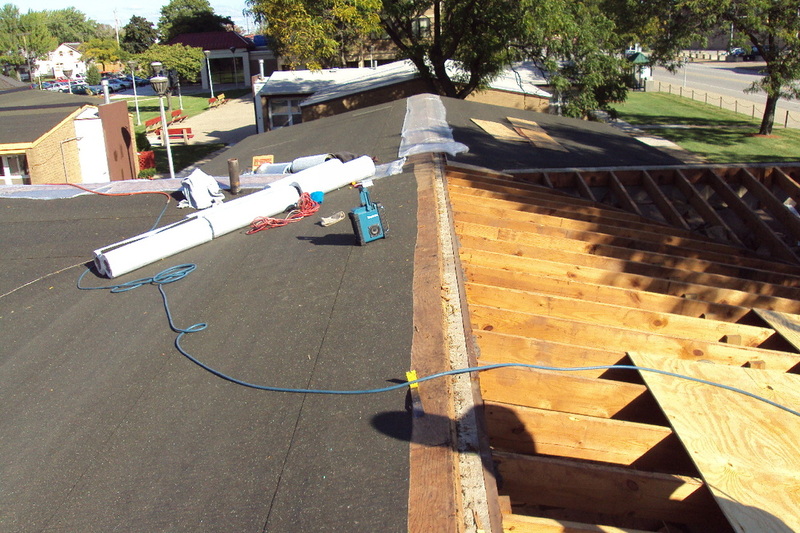 Any needed new plywood/trusses are put in place to ensure the integrity of the roof. 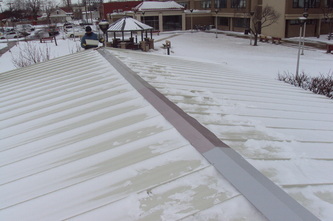 Then the tar paper and ice guard are added for further weather protection. 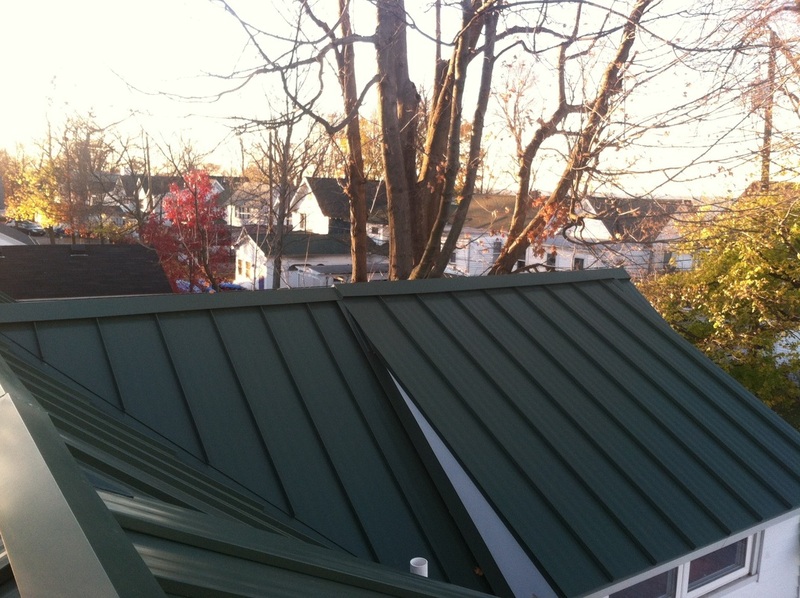 Lastly the peak is installed. 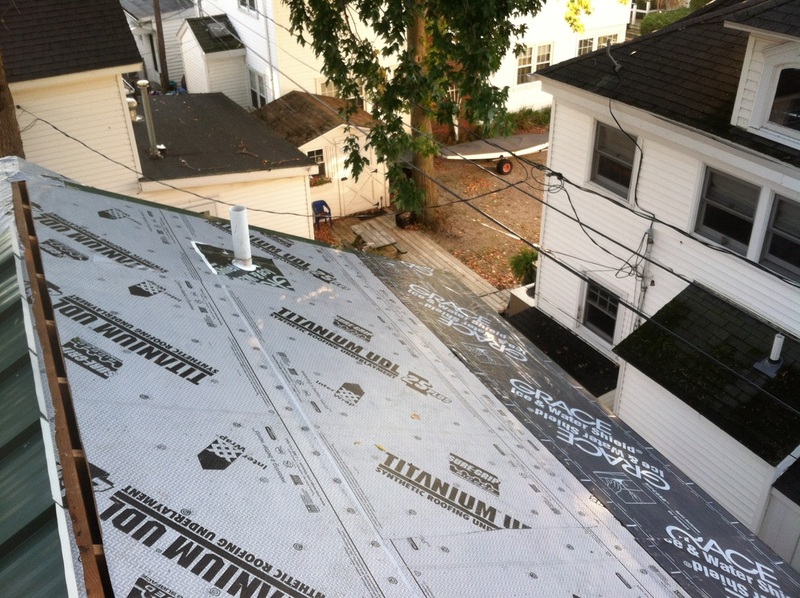 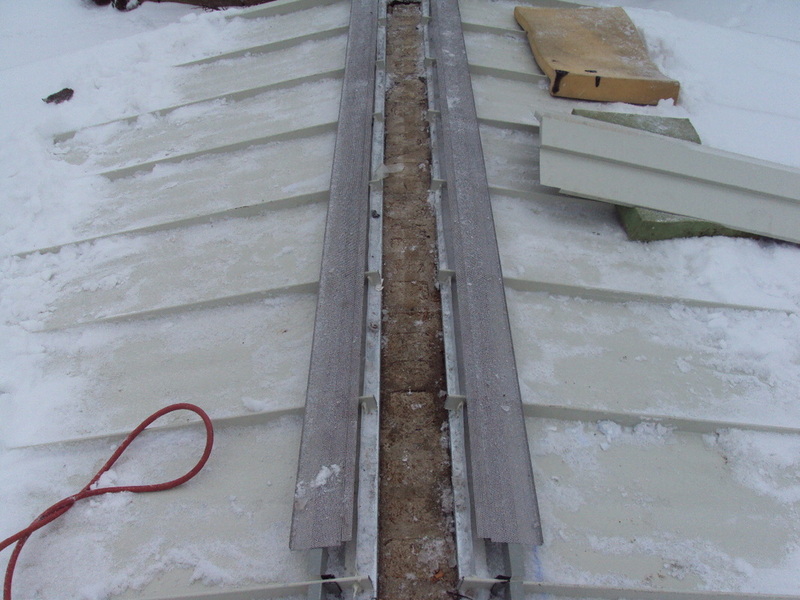 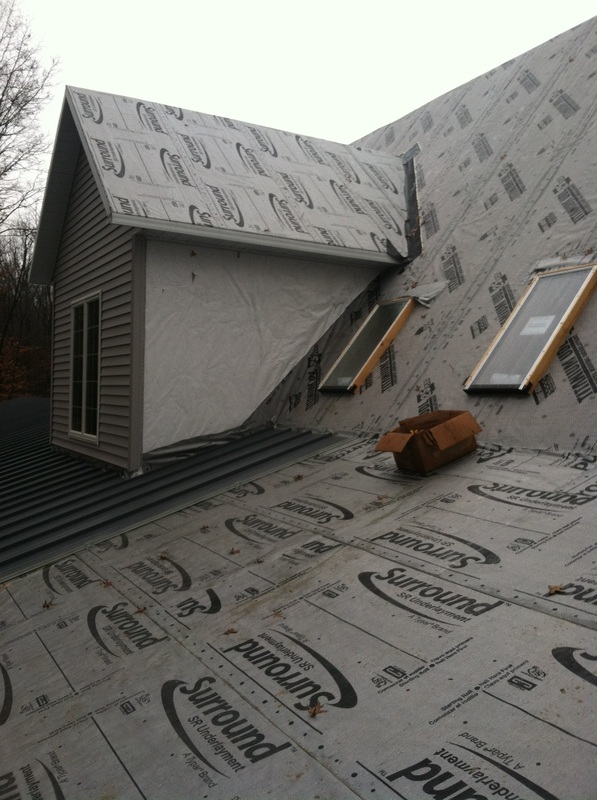 This is done is several steps to make sure the roof is protected from the elements, but in a way that also allows for attic ventilation & insulation. 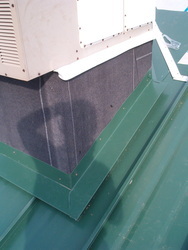 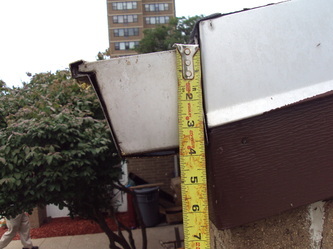 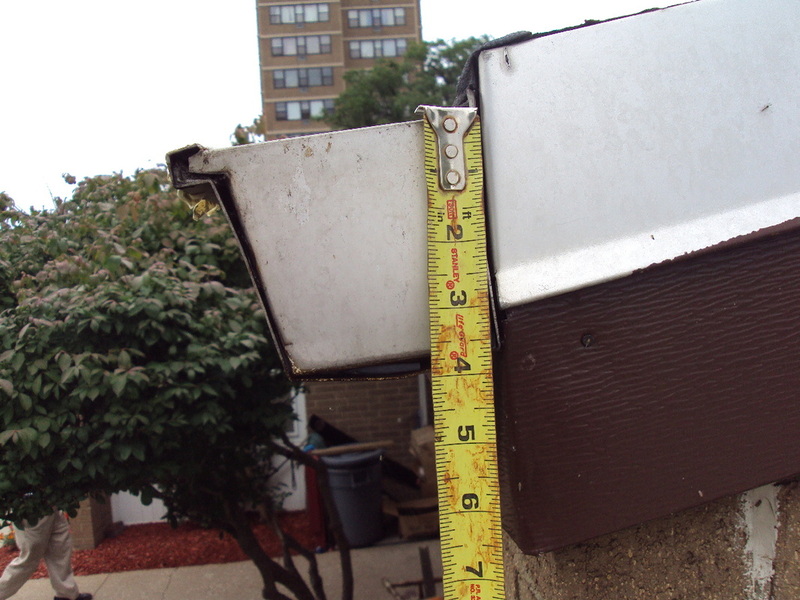 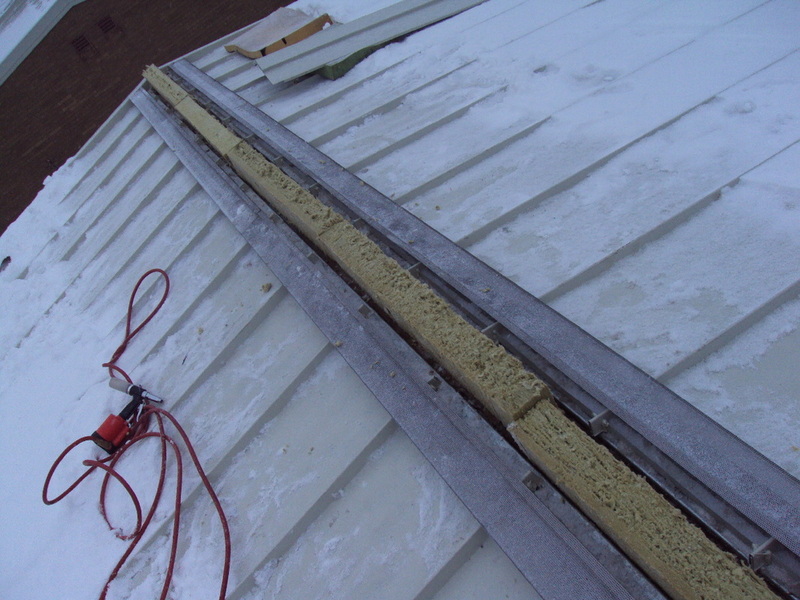 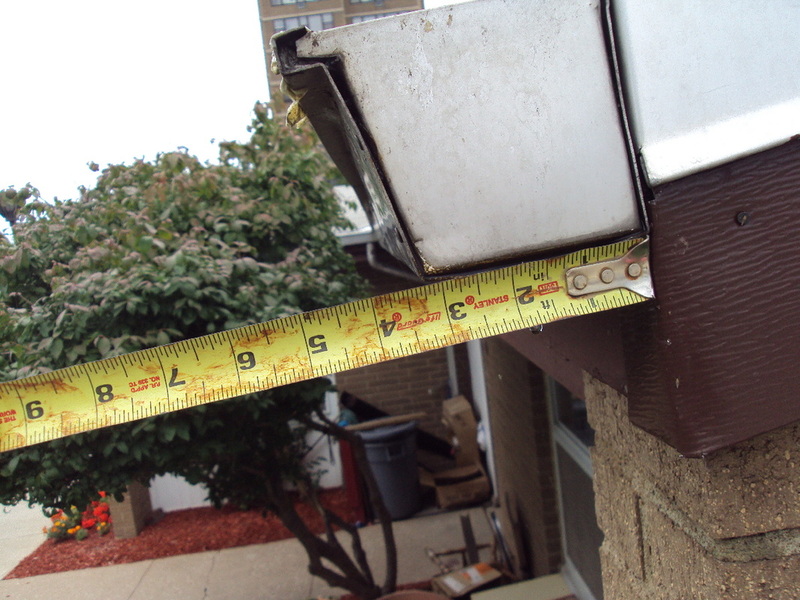 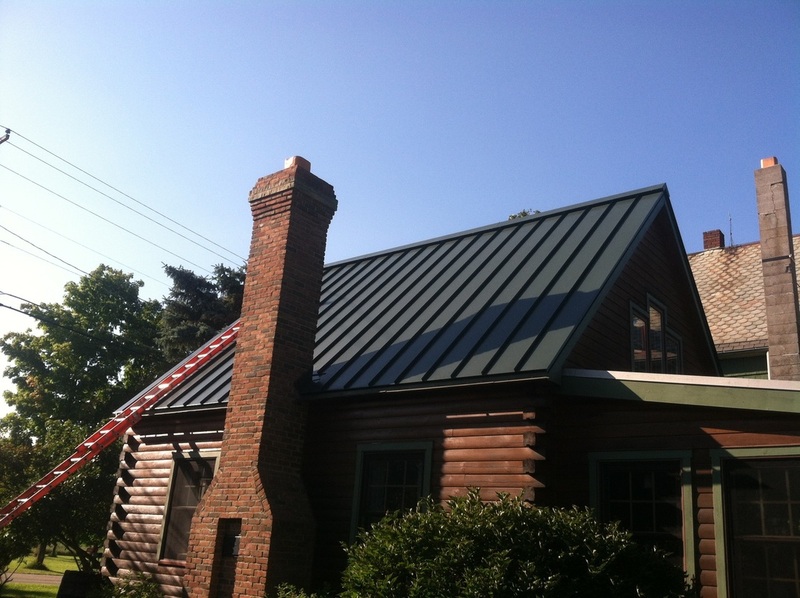 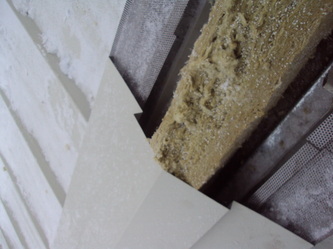 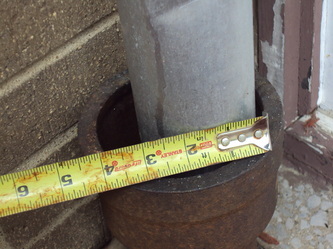 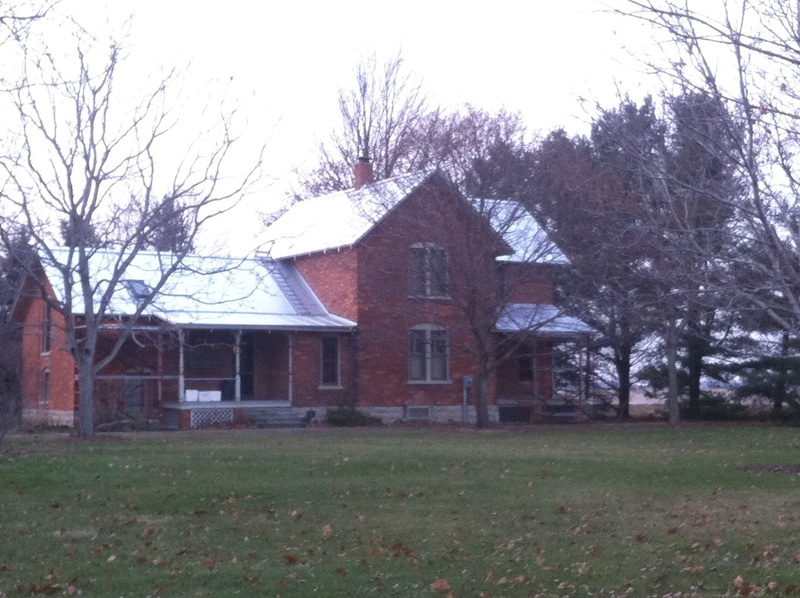 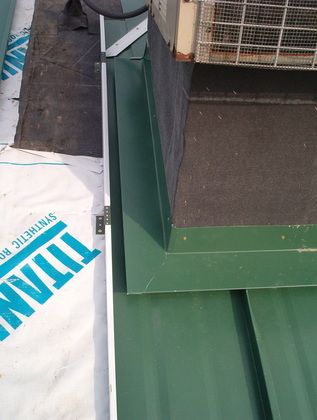 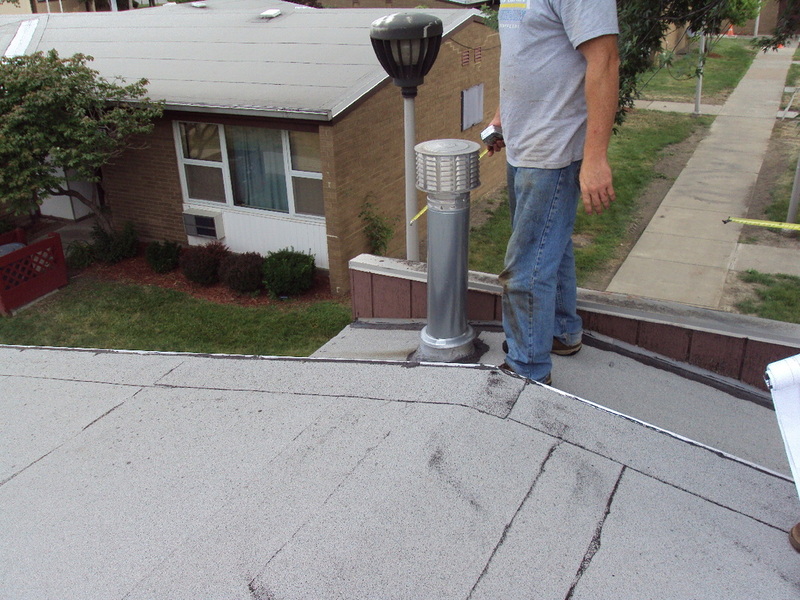 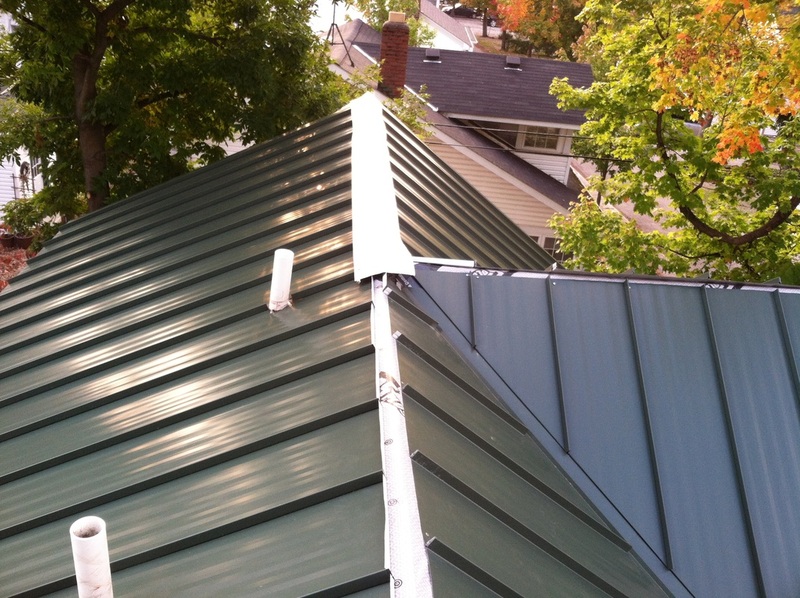 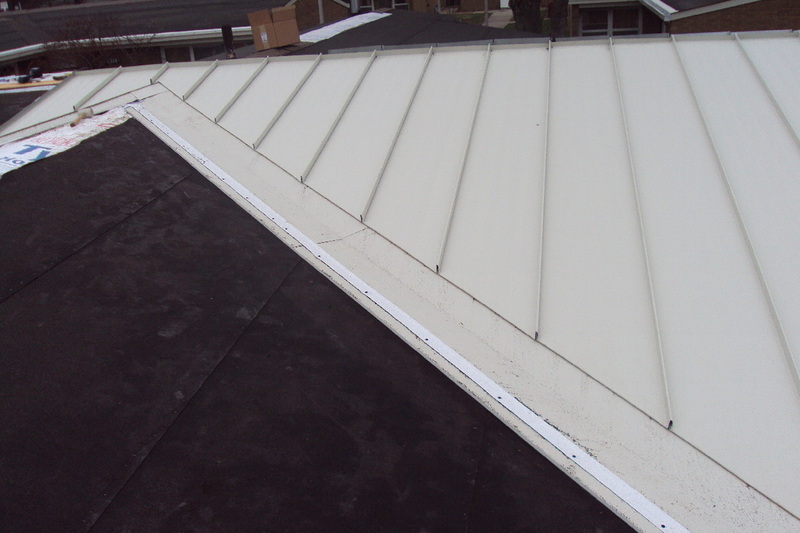 Chimneys, Air conditioners, and other roof mounted articles must be sealed up tight.